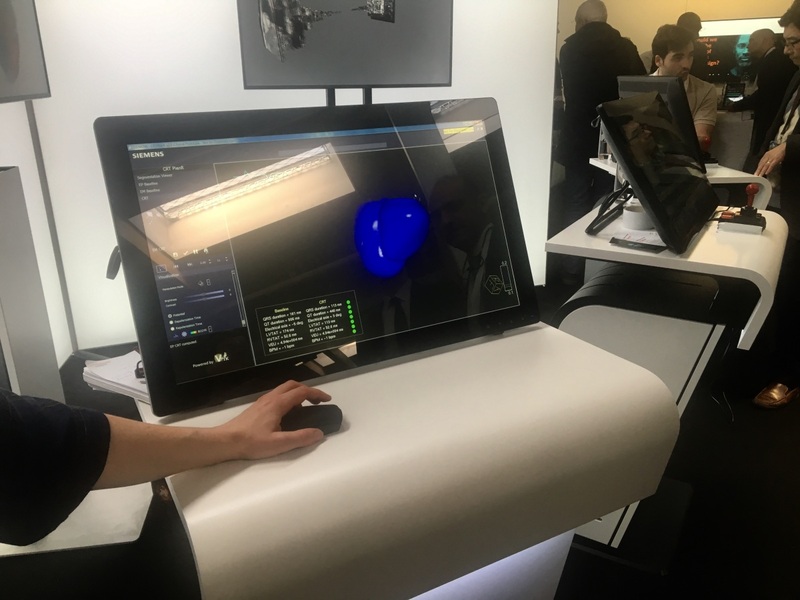 In collaboration with the European Society of Radiology, Siemens Healthineers built and unveiled last week its first Digital Experience Hall at the 25th annual European Congress of Radiology in Vienna. Complete with lectures on digitalization and demos of concepts and different forms of technology currently under development, the purpose of the hall was to create discussions among visitors about the opportunities that digitalization has or is expected to bring to radiology for physicians, healthcare professionals and patients, as well as the entire healthcare industry as a whole. Among the technologies shown was cinematic rendering, a photorealistic way of visualizing datasets in 3D. The feature will be available as an app on HoloLens 2. Attendees at the Digital Experience Hall, however, got a sneak-peek experience of this function by donning a mixed-reality headset that enabled them to not only visualize an organ in 3D but interact with it, using their hands to move it around to different angles and make segmentations. Such capabilities are expected to provide greater support to OR teams in preparation for procedures, as well as provide greater understanding to patients on the issues they face and why exams they undergo are necessary and helpful, according to Siemens. “Up to now, you can only see 3D illustrations on 2D displays. With this technology, we are able to display 3D volumes also on 3D output devices, to have better special understandings,” said a spokesperson for Siemens. Another technology shown was Digital Twin, a concept that would enable clinicians to create digital computer model representations of a patient’s body parts. The program would enable users to perform a number of tasks on the computer model to determine the best approach for addressing issues in reality, such as applying cardiac resynchronization therapy on a patient’s heart.